I've been toying with the idea of purchasing an Ultra HD monitor since toying around with the enhanced resolution early last year. With the release of the first 4K screenshots of Grand Theft Auto V on PC, the time for toying is over. Along with the unfortunate delay and system specs, Rockstar also released a set of gorgeous 3840 x 2160 screenshots of a game that looks well worth waiting for. To get the full effect you'll need to click the magnifying glass in the top left corner of the image, then right-click the open image and open it in a new tab or window. For a better sense of scale, here's a 1920 x 1080 selection from the same screen. Coupled with some impressive draw distance, this shot of Los Santos sprawling out from behind the Vinewood sign is simply breathtaking. And with 4K resolution, Rockstar can finally fit all of Trevor's crazy in a single screenshot. Mind you, upgrading to 4K is still a pretty pricey proposition. Despite falling monitor prices — the Philips Brilliance 28 inch I've been eyeing is nearly down to $600 — you're still going to need some beefy video cards to handle this much pretty at such a high resolution. I've got a pair of Nvidia Geforce GTX 980s that should do the trick nicely, but they currently run $550 or so apiece. With tax returns coming I should be able to swing the Philips. 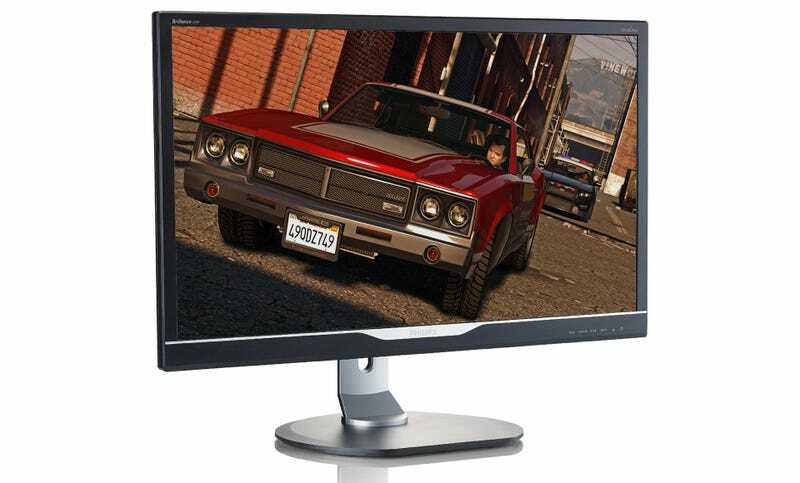 And if not, Grand Theft Auto V PC also supports up to triple monitor configurations. If all else fails, line your gaming room with less expensive monitors.